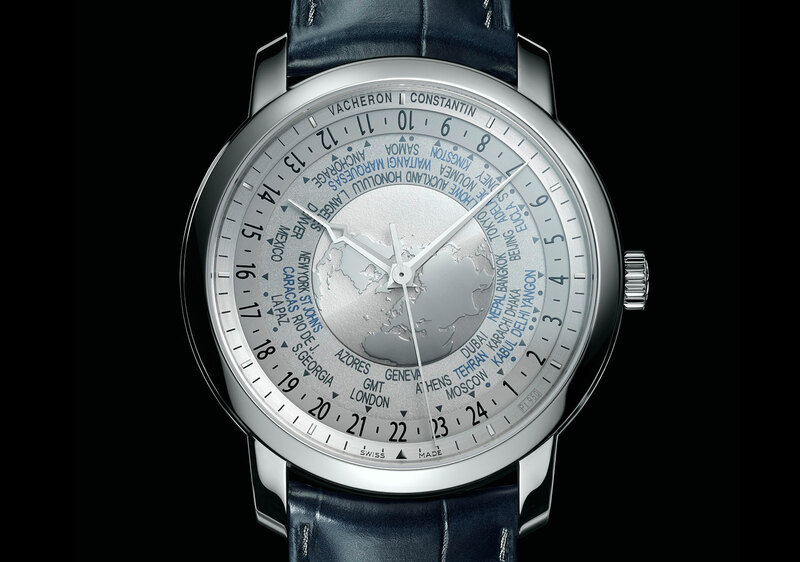 At Watches&Wonders 2014 Vacheron Constantin will unveil the Traditionnelle World Time Collection Excellence Platine, capable to displaying 37 time zones and the latest edition to its series of all-platinum limited editions. 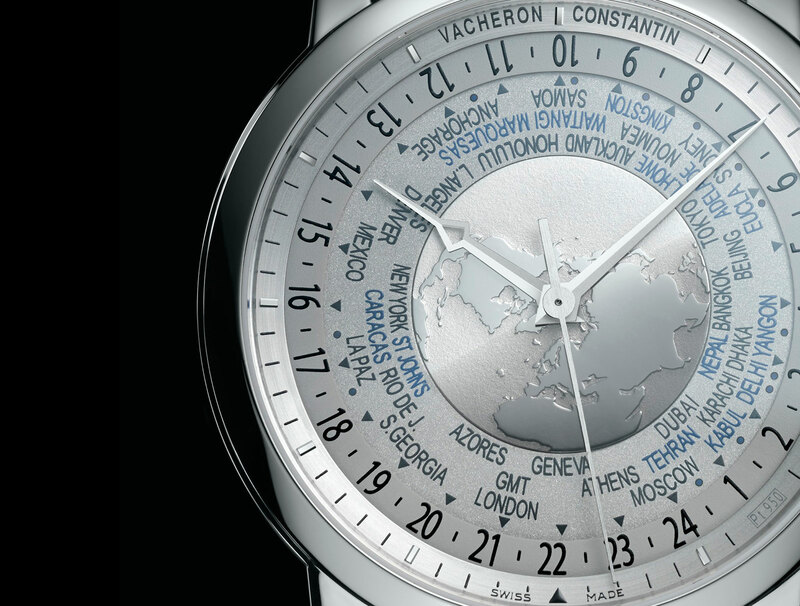 Come September 29, the second edition of Watches&Wonders will open in Hong Kong. A scaled down, consumer-oriented version of trade fair SIHH in Geneva, it will see the same brands present new timepieces not seen in January during SIHH. 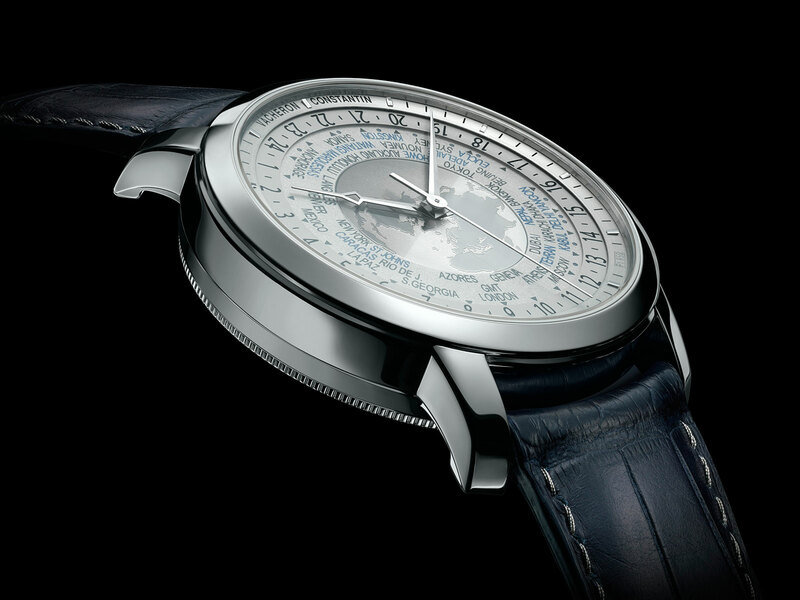 Vacheron Constantin has revealed one of the new models to be launched at Watches&Wonders 2014, a limited edition Traditionnelle World Time Collection Excellence Platine. Like the other watches in the Collection Excellence Platine series, the world time has a 950 platinum case, dial and buckle, as well as platinum and silk stitching for the alligator strap. And it has a tiny “Pt 950” hallmark in between four and five o’clock on the dial, a subtle reminder of the pricey alloy used. Material aside it is identical to the regular world time, with a 42.5 mm case containing the calibre 2460 WT movement capable of displaying 37 times zones. In addition to the common one hour offset 24 time zones, it also indicates time zones offset by 15 or 30 minutes. That means it covers the places typical world time watches neglect, exotic locales like Kabul, Tehran and Caracas. Limited to just 100 numbered pieces, the Traditionnelle World Time Collection Excellence Platine will retail for 138,800 Singapore dollars with 7% tax, equivalent to approximately US$111,000.